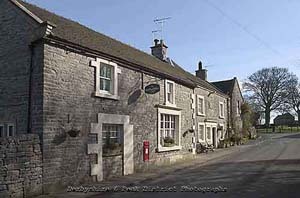 Alstonefield, situated in the Peak District National Park, is an attractive, closely knit village, situated on a limestone plateau 900 feet above sea level. 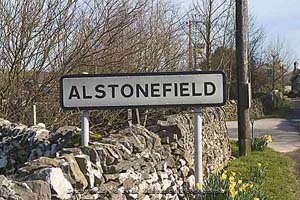 Alstonefield has won several best kept village awards in the past. 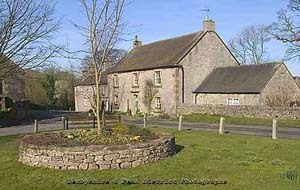 Alstonefield has many stone buildings dating from the 18th century or slightly earlier. 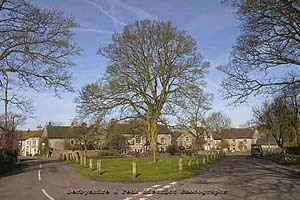 Alstonefield was a thriving market centre in the middle ages having been granted its own market charter in 1308 but lost much of its status with the growth of towns like Ashbourne. Alstonefield continued with annual cattle sales right up until the beginning of the 20th century. Many of the footpaths and lanes in the area date back to those prosperous times. Hidden from view on the south side of the village is St Peter's Church. It dates partly back to Norman times but has been heavily altered several times throughout the centuries. A feature of the church is its fine woodwork. There is a set of low 17th century pews, retaining their original brass-work, a double decker pulpit and a painted Beresford pew at the east end of the north aisle. A huge chest, inside the church, some 10 feet long and about 700 years old, has 3 locks. The vicar and the churchwardens each had a key, making the presence of all 3 necessary at 'opening ceremonies'. There is also the bowl of a Saxon font, which was dug up in the churchyard, and fragments of Anglo-Saxon or Viking crosses are built into the wall, near the porch. The church is normally open between 9.00 am. and 5.00 pm. every day. Tea, coffee & biscuits are available for a donation (self-service). 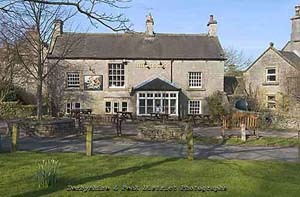 The George is an unspoilt, family run pub popular with the many visitors that visit this part of the Peak District attracts on a fine day. The pub is small, with a bar, snug to the side of the bar and dining room. The bar has portraits of locals, historic artefacts and a homely fire (inset: "Mr Spybey's Tankard"). The dining room and snug have been restored to their original simplicity with lime plastered walls and farmhouse furniture. Candlelight and fresh flowers add a touch of elegance. We hope that you can join us soon to enjoy our well kept real ales, carefully selected wine list and real pub food. There is also an art gallery, situated next to the pub and a craft shop. Behind the George Inn, a wool market used to be held and there was a button factory in Church Street, making silk covered buttons, probabily for the flourishing silk manufacturing industry that existed in Macclesfield. Alstonfield is home to the Hope House Costume Museum and Restoration Workshop which can be visited by appointment only. In May, Alstonfield holds its own horse show and gymkhana. 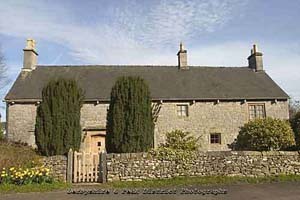 The village also retains its ancient tithe barn, which was found behind the late 16th century rectory. The exposed wattle and daub wall and the spiral stone staircase may, however, been part of an earlier building. 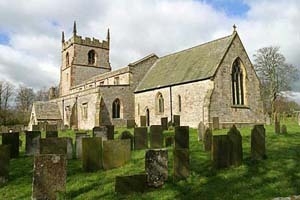 Charles Cotton and his family lived at nearby Beresford Hall,now demolished, but their elaborate greenish pew is still in the church, and the fishing temple built by Cotton survives in Beresford Dale. Hopedale and Stanshope are 2 hamlets just south of Alstonefield. Hopedale has a pub called the Watts Russell Arms, popular with locals and walkers alike, and Stanshope is dominated by a 17th century hall. Hopedale was also the site of one of the first co-operative cheese producing factories in the country, with cheese being produced from 1874, when 20 farmers started the Alstonefield Dairy Association, later renamed the Dovedale Dairy Association. They made a Derby cheese, but eventually greater demand and improved methods of distribution led to the closure of smaller co-operatives like the one at Hopedale. Take the A515 out of Ashbourne,and after about 5 miles take a left turn, signposted Milldale /Alstonefield. There are 2 car parks with toilet facilities at one of them.